Did you know the 23rd May is International Chardonnay Day? You do now! Chardonnay is a versatile grape meaning it ripens in almost any soil and climate condition, producing flavours ranging from crisp apple to dry and fruity. Hence it readily incorporates into many blends. And 4,467 bottles sold every hour means Chardonnay still tantalises the UK’s taste buds. 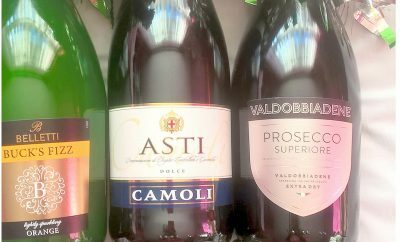 The grape is also a major contributor in Champagne. Here are Hardys ’s of Australia’s Chardonnay styles, which should suit all tastes. Hardys VR Chardonnay 2014, £6.99, 13% abv. From Tesco/Sainsburys/Ocado/One Shop. Chock with rich melon and peach flavours. The finish is crisp and dry so accompanies vegetarian dishes well. William Hardy Limestone Chardonnay 2014 RRP £9.99, 13% abv. From Tesco/Asda/Morrisons/Ocado. This new wine highlights the brand’s premium range with an emphasis on regional Australian heritage. Lightly oaked, with melon and white peach flavours give a well-balanced white with a creamy texture and a long, crisp finish. Pair with fish and chips. 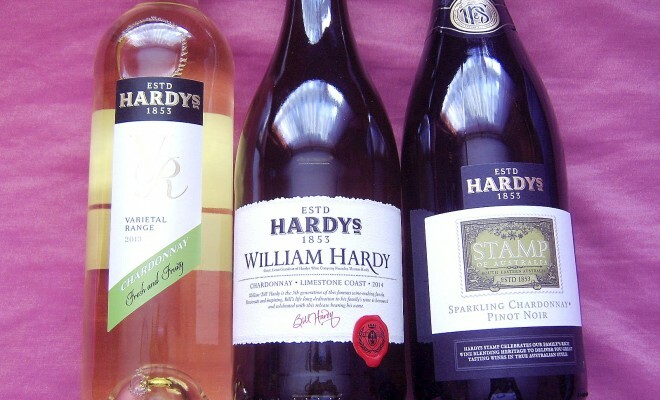 Hardys Stamp Sparkling Pinot Chardonnay NV, £8.99, 13% abv. From Asda. This medium-bodied wine delivers fresh lime with hints of nectarine and apricot and a fresh, zingy finish. Great with canapés. Hardys Stamp Chardonnay Semillon 2014, £7.49, 13% abv. From Asda/Tesco/Morrisons/Sainsburys/The Co-op/Ocado/Iceland/Spar. Medium-bodied with fresh citrus and tropical fruit flavours. The creamy texture blends with delicate oak and a smooth finish. Perfect alongside smoked cheeses or seafood. Nottage Hill Chardonnay 2014, £7.98, 13.5% abv. From ASDA/Sainsburys/Tesco/Ocado/Morrisons. Full-bodied and dry with rich tropical fruit and melon flavours, complemented by a touch of subtle oak. The finish is crisp and lively so pair with chicken dishes in creamy sauces. Hardys RB CHARDONNAY 2012, £17.99, 13.5% abv. From ASDA/Majestic/Hardys 1853 Club. Vibrant characters of Pemberton combined with zesty, citrus flavours produces a fully flavoured glug. Delicious paired with prosciutto wrapped chicken breast or monkfish. Eileen Hardy Chardonnay 2012, £29.99, 13% abv. From Majestic/Hardys 1853 Club. This premium Chardonnay boasts hand-picked, bunch pressed grapes matured in French oaked barrels. The result is a rich and complex wine, displaying citrus lime, grapefruit spice and hazelnut with a fine, long finish. Perfect with creamy cheeses such as brie and camembert. Tips to get the most out of your International Chardonnay Day celebrations. 1) Avoid serving straight from the fridge as too much chill can mask Chardonnay flavours. 2) When pairing with food consider the wine’s style. Creamy and full bodied wines pair better with hearty creamy dishes like pasta and fish pie. Is it delicate and aromatic or fresh and crisp? Then try it with Asian spiced foods or delicate fish like sushi. 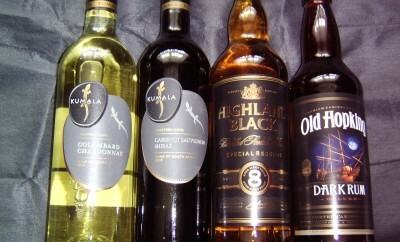 Read more about the Hardys wine brand here. 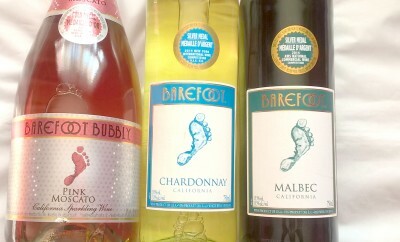 ← Previous Story Happy Easter Wines From Aldi! Next Story → Father’s Day Celebration Drinks For Your Number One Man! Father’s Day Celebration Drinks For Your Number One Man!